I have been swamped for the past few days and, honestly, I’m barely moving. 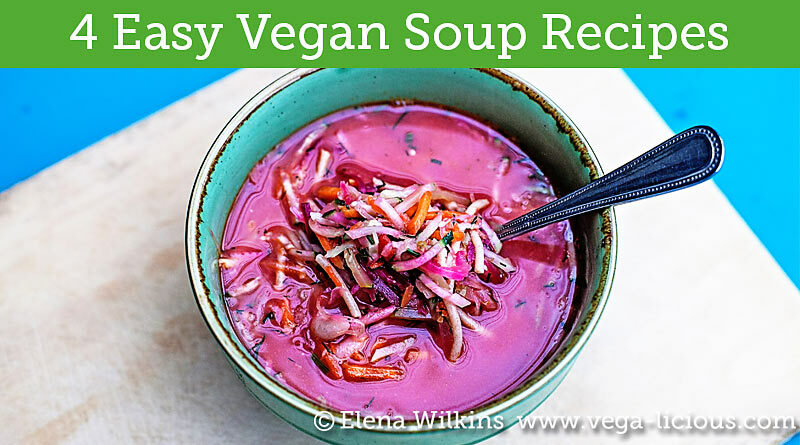 So, today, I’m sharing easy to make delicious vegan soup recipes, especially for people with little time (I’m guessing that you are one of them). House buying is quite an involved and emotionally charged experience. After a year of looking for a home, we found one that we liked and put an offer in, which got accepted in only three hours. Only a week later (today) we completed a very thorough, but mind draining inspection. The same day we sent the results to the seller with a request to address the problems we uncovered. Meanwhile, I am buried under a pile of paperwork I have to submit to the lender. And all of that in the midst of running a business, running a household, running after my three-year-old ball of energy Sprout, and planning a family reunion/Mom’s 86th birthday party. Sheesh! I’m out of breath just typing it. Last night I worked until 3 am. Nope. I am not proud of it. I’m tired. Today (or is it tomorrow already? ), as I am typing this, I am hoping to turn in sooner. Our lender’s site, where I was submitting some of our information, crashed–I think it determined that I need a brake. 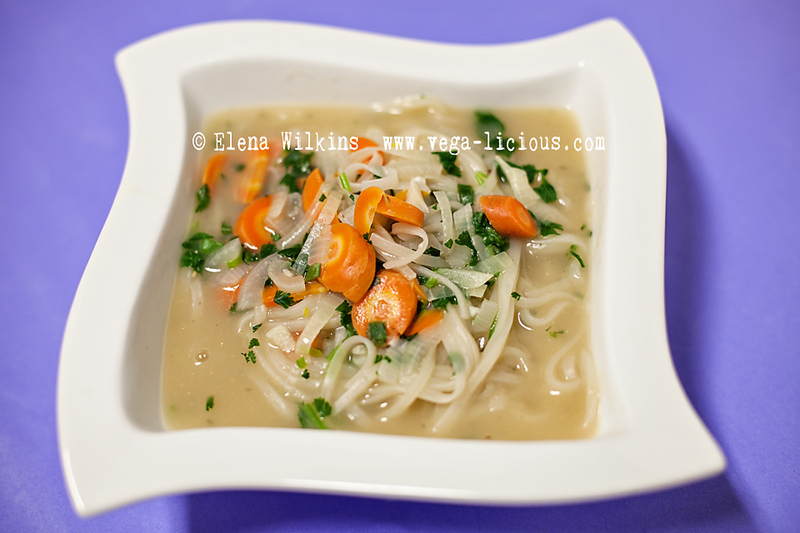 But, tired or not, I still wanted to share delicious vegan recipes with you! 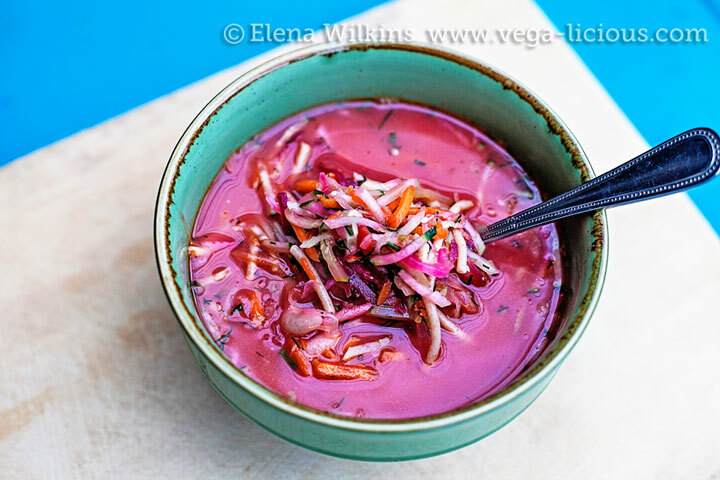 So, I rounded up four of my favorites, easy to make vegan soups that you can make on a fly. 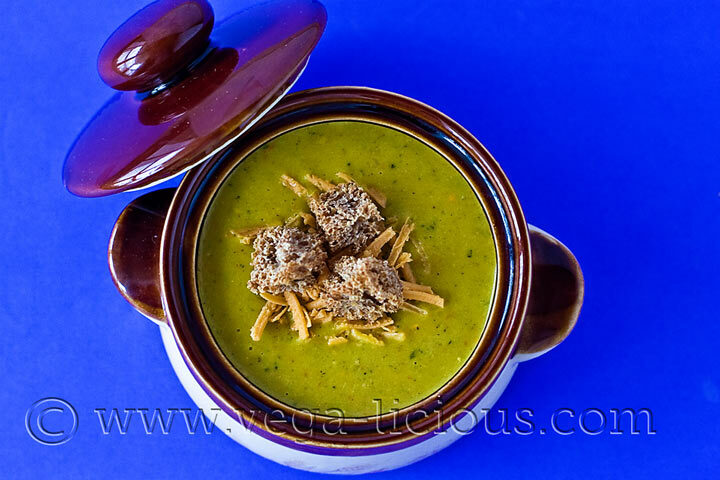 Here are your 4 delicious, easy to make vegan soup recipes. As you make these, please say a prayer for my sanity. I will barely have a moment to breathe this week between all of the awesome things I get to do. And, keep an eye out for another article from me this week! Not guilt free, but totally worth the splurge, as a special treat when you are missing your bowl of traditional broccoli and cheese. My favorite! 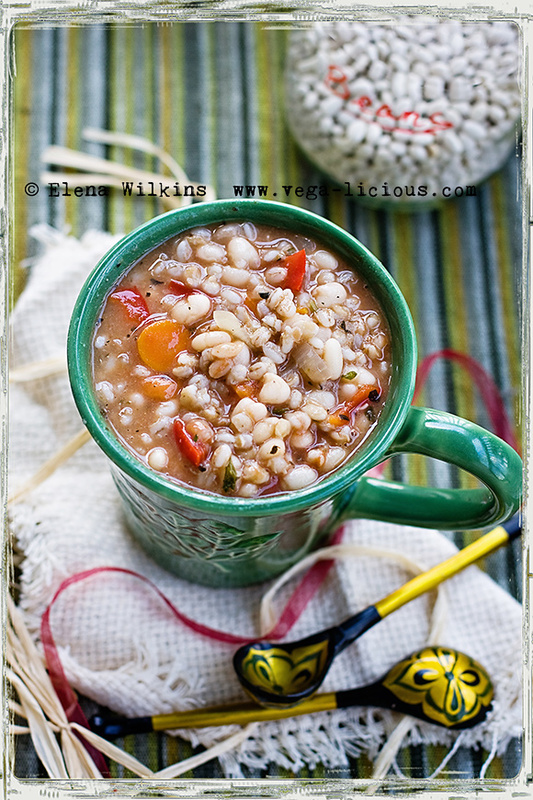 If you are gluten free, you can substitute brown rice for barley and enjoy the richness of this guilt free creation. It also helps if you have the grain precooked (or even precooked and frozen) to save on the prep time. Yes, this one takes only 10 minutes! Filled with great bacteria for your gut and will fill you up. And lastly, another quickie soup. Takes only 10-15 minutes to make…and even less to enjoy, because it is so good.